If you ever tried to add ePub to Kindle and did not succeed, this article will help you – there are a few easy methods that you can use to start reading ePub books on Kindle, whether it’s a Kindle Fire tablet or a Kindle Paperwhite and other Amazon ereaders. Does Kindle support epub? Amazon’s devices do not support ePub natively, even though the Internet, online bookstores and libraries offer tons of titles in this popular open source format. ePub is the most widely supported vendor-independent e-book format, so why doesn’t Amazon support it? The speculation is that Amazon does not want to support ebooks from sources other than their store, in one of their proprietary formats – AZW, AZW3, KF8, and KFX. MOBI (Mobipocket) is also supported by them, likely because the first Amazon’s proprietary format, AZW is identical to the Mobipocket (MOBI). Another consideration is that some ePub files are protected by DRM, such as ebooks that you may have purchased from online book stores like Sony, Kobo, Barnes & Noble etc. DRM stands for Digital rights management and is also sometimes referred to as “copy protection”. DRM protected ePubs may require a little more work: first remove the DRM and then convert, unless you are using a software that can do both in one go. 1. Download and install calibre on your computer. In the main menu click “Add books” and select the ePub book that you want to convert. Click “Convert”. 2. Choose MOBI as the output format, and click Ok.
3. calibre will convert the book and once it’s done you can send the file to your Kindle for reading. You can do other neat things with calibre, such as change the book cover, edit Metadata or even download new Metadata for the book from Wikipedia, rate books and more. If you want to convert a DRM protected ePub file with calibre, you will first need to remove the DRM and then do EPUB on the Kindle conversion. The former can be done in calibre as well, you would just need to download a plugin, such as DeDRM. If you search on the Internet, you will find online tools that are capable of converting ePub to mobi, for example Zamzar and Cloudconvert. All you need to do is specify the file or URL that you want to convert, choose the format that you want the file converted to, such as Mobi, and click convert. The converted file should become available for download. Cons: Most of these tools do not work with DRM protected ePubs and usually cannot handle multiple files at the same time. 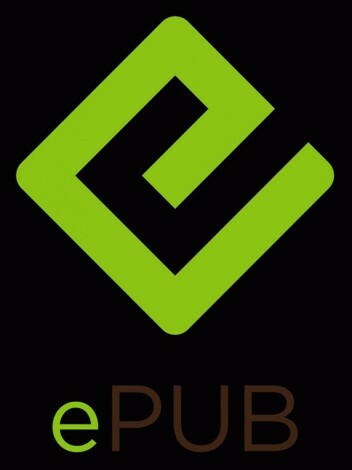 Epubor is a software that you can download onto your computer to remove DRM and convert ebooks, including in bulk. Cons: This software is not free – it costs about $25. If you have a Kindle Fire, you can use an ePub reader app to be able to read books in this format. Aldiko – This ePub app offers many formatting options and supports Adobe DRM ebooks, library ebooks and PDF files. Cool Reader – This Android app supports epub (non-DRM) and many other formats, and offers a lot of nice features. OverDrive Media Console – This app allows for an easy way to read library books on the Kindle Fire. Once you install the OverDrive Media Console app, you will need to create an Overdrive account and login. From there you will be able to access your library’s Overdrive website and read the titles on your Kindle Fire without having to convert ePub to Kindle. To use Overdrive with an e-ink Kindle, you can download the books from Overdrive to your PC and transfer them to the Kindle via USB. Jailbreaking your Kindle will allow you to install an EPUB reader onto it and start reading ePub files. The devices that can be jailbroken include: Kindle Paperwhite 2, Kindle Paperwhite 3, Kindle Voyage and Kindle Touch 2. The benefits of a jailbroken Kindle are not limited to being able to read ePub and other formats; but also change the screen savers and remove the Amazon adds. You will also be able to reflow PDF books for better reading experience. Now that you know the different ways to read ePub on Kindle, which way do you think would suit you best? Maybe you know of a different way to convert ePub to Kindle? Please share!